I would like to inform you about what we are working on now. We are adding abilities to the minions. Minion first have to make an astral travel to acquire a new abiliy. After that, you can use "mytokronits" (tiny astral creatures) to improve these abilities. Different mytokronits can be captured different ways. There will be a minion ability which lets your minions max bonus increase after level 250, one which helps you to find treasures during hunt, and there will be some direct combat abilities. We are still in development phase, it might go live in 2-3 weeks at most. A the dawn of time, the planet was ruled by a technical civilization, the moa. The lack of magical abilities was substituted by high intelligence and mental abilities. The connection betwen the physical and mental world is created by microscropical creatures, the mytokronits. By exploring the ancient moa libraries, the doomlord has gained knowledge about the mytokronits. How to detect and capture them, by what methods and tools. How to bind them to their will, how to use these entities to enpower their ascended minions with new abilities. Engulfing mytokronits is not a simple task for a minion. Each time when it wants to acquire a new ability, it have to do a long astral travel. To reach the state necessary for this travel, it must consume an astral stone first. The hucksters of Lady Alvariel realized the coming demand for these stones. So as soon as they are able to collect enough, they will begin selling them. grey. This is always the first connection which must be established during an astral travel, because this is the one which determines how far the minion can develop its other abilities. You can find grey mytokronits by the use of the mytokronit knowledge skill, during hunts. To acquire this skill your clan need to improve the academy further! blue. The blue mytokronits make it possible to expand the maximum of the abilities and skills the minion transfers to you. So the bonuses will continue to improve even after level 250. 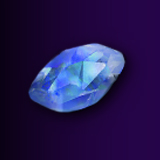 The blue mytokronits are released when using ancient stones, and during specific events. green. The green mytokronits improve the experience your minion gets either in battles, via minion crystals, or by feeding. These mytokronits appear when using manaconstruction, after your clan has constructed an astral station. yellow. You will be able to buy from the soul-huckster an ancient moa relic, the mytokronit extractor. After this, you will be able to extract yellow mytokronits from specific items, like subplasma - no wonder that the demand for subplasma generators has increased! After your minions has melded with the yellow mytokronits, they will be able to search for treasure during hunts. red. You can use another moa relic, red mytokronit detector to find these during duels, if you have the detect mytokronit skill. Your active minion's magic ability will help you to dodge the spell cast by your opponent; the passive one's will increase your spell absorbtion. orange. These mytokronits grant physical defense, if you can find them with an orange mytokronit detector from pets training in the kennel. The active minion's ability decreases the opponent's pets chance to hit, while the passive one's will increase your absorbtion. white. From time to time, you will be able to strike your opponent with an astral explosion. You rage will increase with each hunt and duel, and when it reahes 20, you can use the explosion vs a duel opponent. The damage depends on the difference of your and your opponent's total explosion ability (sum of each minion's white ability). You can get the corresponding mytokronits during adventures, if your mytokronit explosion AA ability is of sufficient level. 1. At the start of the event, every player who is at least level 50 got 2 astral stones as a gift. 2. You can buy it at the soul huckster from level 65 for 10 ancient stones. 3. It is a rare drop during hunts, if your minions have treasure ability. 4. You can get it during specific events (for example, there will be a mini-event where you can exchange it for event shards). You can use the astral stone on the minions subpage, if you have at least 2 minions. Only non active minions can use the stone. You have to click on the small picture next to the minions pic. Then your minion will travel in the astral for 45 hrs. You can accelerate this with 10 AS. The first ability it acquires will always be knowledge, the ones which follow will come in random order. Your minion acquires abilities at level 1. To develop it further, you need mytkronits of the proper color. Development cost is equal to the current level: ie. to develop a lvl 1 knowledge to 2 cost 1 grey mytokronit, the next level cost 2 etc (later on, the cost increase will slow down). grey (knowledge). From level 65, you can develop the mytkronit knowledge skill, if your learning skill is at least 70 (you need a level 20 academy for this). After that, you will find grey mytokronits during hunt. blue (power). From level 65, if you spend ancient stones, you get 1 mytokronit for each AS spent. Also you can get it in certain events. green (experience). From level 65, if you use manaconstruction, and your clan has an astral station, you will get green mytokronit. The amount is 1 + level of astral station/20. For example, at level 40 station, you get a total of 3.
yellow (treasure). At the soul huckster, under relics you can buy the lvl 65 mytokronit extractor. After this, if your level is at least 65, you will have a mytokronit extractor button under soul-huckster in the top menuline. You can extract 20 yellow mytokronits each day there by using up specific items listed there. red (magic). At the soul huckster, under relics you can buy the lvl 65 red mytokronit detector. After this, if your level is at least 65, and you have the detect mytokronit skill, you can find red mytokronits during duels you initiate. To learn this skill, you need a lvl 80 learning skill (requiring lvl 25 academy). orange (protection). At the soul huckster, under relics you can buy the lvl 65 orange mytokronit detector. After this, if your level is at least 65, and you have the detect mytokronit skill, you can find orange mytokronits when you send your pets to the kennel. You get the mytokronits only when the training ends, but if you squeeze your feed a training pet, you get them immediately. while (explosion). You can find these in adventures, if you have the lvl 65 mytokronit explosion AA ability. - You have to be at least 65 to acess most features related to this event. - Knowledge abilities cannot exceed your level. - Other abilities cannot exceed the knowledge ability of the given minion. You can read the detailed description of the abilities when you hover the cursor on the specific mytokronit icons, under the minion. Find treasure. During hunt, you can find astral treasure, if one or more of your minions have the treasure ability. 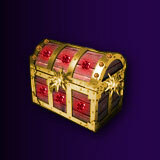 Each minion (including the passive ones) make a roll depending on its treasure skill. You get 1 astral treasure for each successful roll. You can use these from your inventory. When you open them, you get the contents. Mostly, you will get mytokronits (including blue), but you can also find astral stone, drop and shard, and also minion crystals. Astral drops can form a new fetish, the astral shards you can use to exchange for various rewards, similar to temple crystal. Explosion. If your minions have explosion ability, a new bar will appear on your character page, under the HP and mana bars. Its the rage bar, which can range between 0 and 100. For each hunt and duel, you get +1 rage. If it's at least 20, you can use explosion on the duel page, just above the list of the duel targets. The explosion will deal damage to your next duel target after the 2nd round at the cost of 20 rage. The damage depends on the total of your minions explosion ability, the total of your opponents minions explosion ability, and your max HP. The more max. HP you have, the bigger the damage. Your explosion total has a greater weight than your opponents, so in case of 2 identical total, you will still deal damage. The explosion can be used during duels, not during championship. Adding different abilities to minions is pretty cool, but you should consider allowing us to use more than one not to limit the potential of this new feature. Maybe four, just like regular pets? Even if only pet number 1 (could be highlighted in a different color) would be the one to gain XP from fights. This would make minions way more interesting with different strategies to be used. I know of only one Minion/Fetish that has an ability that is active when the Minion is not active and that is the effect of the Christmas Fetish (bonus AA points). Is there any other? Are you sure Christmas fetish works like that? Christmas fetish. Pet equipment, can evolve a pet to a minion. lvl: 200. TP: +14. Effect: +0.5% AA points for every 10 level of the minion (works even if the minion is not active). That is from the post about the Event the Fetish came from, and if it is correct then that particular fetish should work even when the minion is not active. This is new information to me as well. As a matter of fact, I keep getting mad at myself when I forget to activate the AA minion before going hunting. Knowing this is not necessary is a blessing! I updated this topic with more detailed info, I hope you find it useful! This will be an awesome new aspect of the game. thanks for the updated info, Miklos. We are in the final testing stage now, this patch will go live tomorrow on the Hungarian servers. The international server will follow in probably 2 days. We finished translating and patching this event, now it is live! I will write now a detailed guide on this event and post it here. Update: the new feature is live now, I hope you like it. I wrote a detailed description (see above, in first post). "From level 65, you get green mytokronits when using manaconstruction Amount is 1 + level of astral station." "The amount is 1 + level of astral station/20. For example, at level 40 station, you get a total of 3." Ignore this, different wording with the same meaning. 2) "The soul suckster sells 3 new relics (red and orange mytokronit detector, mytokronit extractor), and a new item under other categories, astral stone." The "other category" should be the "misc. category"
The update looks nice. Thanks Miklos. - Green --> +1 XP per fight is nice, but +1 XP per crystal/feeding is too low, almost irrelevant. I suggest you increase the effect for those 2 activities. - Orange --> Not sure how it works. When active, do I get 1% chance of dodging the opponent's attack per level? There seems to be a cap at the opponent's pet level that makes no sense, since most pets are over lvl 100. And when passive (I assume this means the minion is not active, right? ), it does nothing. My absorption is unchanged. I haven't tried Red and White yet. Explosion doesn't seem to work right now. I have 45 rage atm, a minion with a skill of 2 in explosion ability. The minion with explosion is set as active atm. the button to choose to activeate the explosion on the duel page I activated several times during several duels, and out of all battles, 0 rage has been deducted, and i have seen 0 explosions. Cruel: not all abilities give a big significant boost at start. The green one's major impact is on the XP the minion gets from duels. There, increasing the XP from 16 to 20 makes difference. Increasing XP also for minion crystals and feeding is just a small bonus. About orange: pet attack chance works like this: 50+pet base level + pet level - opponent kevel + pet item modifiers (but no more than 90). (Not sure about the +50). Pet base level and opponent level are values which are usually close so cancel out each other. So this means when the pets level reach 50 (100?) then its always the max 90%. Orange decreases this attack chance, by 1% for each level, but by no more than the opponent's pet level. So ideally, with this ability you can lower the opponent pets attack chance from 90% to 50% - almost halving the pet damage. Sacrosanct: Explosion triggers after the 2nd round of the battle. So if it ends before that, no explosion happens. I tested this several times, works for me. "Your minions cause an astral explosion! (284 damage)"
Looks like Explosion works now (it didn't this morning).